So, you’re ready to move away from looking like a scrappy upstart and fine-tune your design elements to reflect the more polished business you have become. Or perhaps you’ve just wrapped up decisions on your business name and logo and aren’t quite sure what to do next. 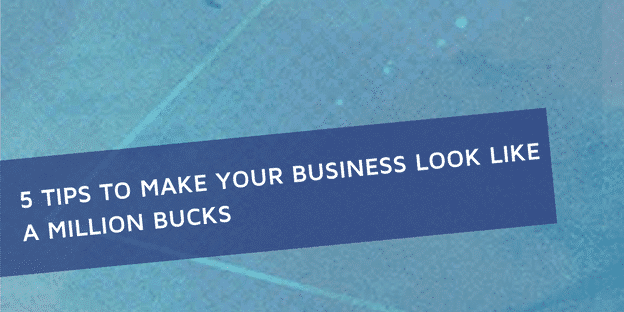 Whether you are scaling up or just needing a lift for a tired look, here are five tips to make your business look like a million bucks and improve your impact. Consistency is Key – This tip is listed first for a reason: it applies to everything below and cannot be stressed enough. From your color palette to your logo placement to the look and feel of your images, aim for consistency across all of your visual touch points. Be sure that what looks good online also looks good when printed. We’re not talking fancy or complex here, but this is your identity and you want to communicate it with consistency. If you fail at being consistent, you will fail at establishing your business identity. Anybody who knows me, knows that I’m a huge fan of soul cycle. There success begins with consistency! Color Matters – Ninety-three percent of shoppers’ decisions are influenced by color and visual appearance. You’ve already selected complementary colors that convey your message in your logo. Now you want to carry those colors into all of your visual touch points. This brings us right back to, yes, consistency. If your full color palette was created when designing your logo, fantastic! Your additional colors are in place. If you need to establish a palette, you might take this color quiz or check out these palettes from Color-Hex. Be creative and choose colors that work together, stand out and communicate your mission. Remember, customers relate best when they sense that your colors match or “fit” your business. Google recently changed its iconic logo from the image above to something a bit softer. Can you tell the difference? 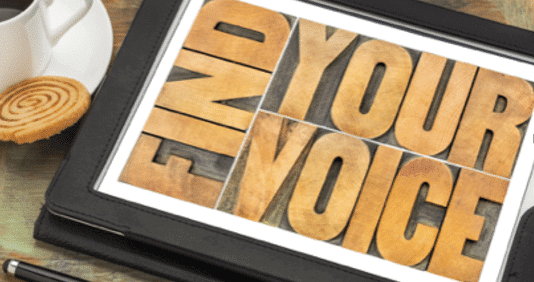 Set Your Tone – Your business’s tone of voice, that is. It is important to choose a language that will resonate with your community. To do this, you want to create a voice that reflects the identify and vision of your company. This voice should be the foundation of all marketing and promotional materials, as will as incorporated in all visual imagery (which can be a little trickier). Is your business identity more formal? So should your business tone of voice. Is it more friendly? Be more conversational. In short, you want your tone to make a statement that aligns with your mission and values and that separates your business from the rest of the pack. Great Graphics Are a Plus – But be careful as the flip side is equally true—poor graphics and/or low-quality photos will get you passed over in a heartbeat. Think unique and simple, creative and consistent. Choosing a handful of colors (no more than four) to be used in the majority of your images allows your community to start connecting those colors with you. This leads to familiarity, which we all know is a plus. The same can be said of a carefully selected filter, which can enhance your photos and, more importantly, create a consistent appearance for your visual content. Again, consistency leads to familiarity, and familiarity helps your audience recognize you. Everything about Lululemon’s business identity inspires, including the graphics. 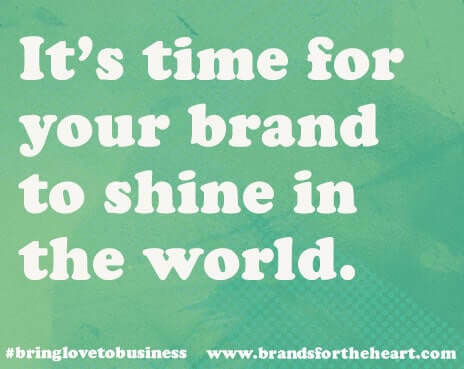 Follow these guidelines and your business identify will quickly move beyond your logo. Regardless of where you start with these tips, always remember: Consistency is Key!